One of my favorite things about living in Chicago is that it’s the kind of city where there’s always something going on. There are always amazing people coming and going, which has afforded me the opportunity to meet many people with whom our paths might have never crossed–some of whom are my readers! Today I got to hang out with one of those amazing people: Jenni Catron. After working in the music industry Jenni left her non-ministry job to become the Executive Director of Cross Point Church in Nashville. She has also started a new ministry for women called Cultivate Her, which is aimed at developing the gifts of women as they serve and grow the church. These statistics provide us with a glimpse of the future church and the future of women’s ministries, especially in educational and economic centers. The question is, how will the church reach these women? How will the church welcome these women? How will the church use the education and skills that these women have gained in the secular workforce to build up the Body of Christ? How will women’s ministries meet their needs? As the majority of women move in a completely new direction, churches will have to think creatively about utilizing their gifts and offering a high quality of teaching for women. While respecting every church’s view of women in leadership, we must also work toward a robust understanding of the Body of Christ in which all gifts are not only valued but implemented for the edification of the church. Depending on your church context that will play out in any number of ways. 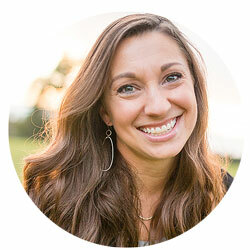 Perhaps women’s ministries will need to offer more theologically engaging teaching, thereby creating even more opportunities for women with the gifts of teaching and leading; if you’re a woman like Jenni with business and managerial skills, you might consider offering your experience to the church. The changing face of the American woman has some short-comings, to be sure, but we can’t miss out on the fact that women are being equipped to serve the church in ways that they never were before. Let’s not miss that opportunity. And let us not underestimate the grave and long-term consequences of failing to evangelize these women strategically. As women, we need to have a missional mindset towards this growing generation of professional and highly educated women. Otherwise, we might end up with an equal yet opposite dilemma to the last decade–instead of missing men in the pews, we might be missing women. I am a Pastor in Oklahoma city and was doing some internet research on Men and attendance in the church and found your blog. The contrast to this post (as mentioned in the last line) is that women already dominate the church according to Barna-61% female and 39% male. They say that on average, 13 million more women (compared to men) will attend church this Sunday-staggering. However, I do think you are spot on about being intentional in engaging women more strategically. In our church, we have a pretty big drought of older women mentoring and guiding younger women. Sadly, the church is doing a much better job of engaging women than men. I wonder what has contributed to this dilemma? Would love to hear your thoughts on the issue. 1. While women do outnumber men in the church, I like to focus more on what percentage of women in America and the world are Christian. I’m afraid that by focusing on the reality that there are more women in the church will lead us to complacency in reaching out to them. As I’m sure you would agree, women are no more spiritual and no more likely to go to church than men. We are equally depraved and equally lost. So even though the number of women in the church might be greater, that does not necessarily constitute a successful percentage of women who are being converted worldwide. 2. One of the popular answers to the gender discrepancy is that men cannot connect with the church because the church has become too “feminine”. Honestly, I’m still unconvinced that this is the reason. First and foremost, because the majority of churches in our nation and world are still led by men, so that conclusion just doesn’t make a whole lot of sense. To answer that question, we may have to think outside the box. For example, I wonder if the percentage reflects any kind of status distinctions between men and women. Churches often grow the fastest in countries and cultures where Christians are persecuted or where there is great poverty. The ground for faith is more fertile in the midst of hardship. Similarly, look at the Black Church in our country, which contains a strikingly large number of poor, single mothers. Is it possible that these women are more likely to be in church because of their adversity? I don’t know, but I certainly think it’s plausible, and I think those are the kinds of possibilities we should be brainstorming. Because if something like that is the REAL answer, then our efforts to “re-masculinize” the church will not yield the results we’re hoping for.